Posted on August 10, 2012 in Front Page and Musings. 4 Comments Tags: Outlook, Productivity Tools. Outlook has been around for what seems like forever, and Microsoft doesn’t spend too much time creating big new features. Instead, the new Outlook 2013 is essentially the same powerhouse application as before but has been upgraded to help you streamline basic tasks, put your documents in the cloud, and work better on mobile and touchscreen devices. In other words, Microsoft has done a great job in helping you do things more efficiently and skip unnecessary steps, which makes it a fantastic email application platform when it comes to productivity. Here are just a few ways you can save time with Outlook 2013. Take a Quick Peek: Rather than open up your calendar, contacts, or other Outlook items, you can now hover over the icon with your mouse to take a quick peek at the info you need. It’s a small but very helpful feature that can save you a few minutes every day, and those minutes add up. Touch Your Emails: Rather than open each email or check off which ones you want to delete, you can take a quick look at the contents of an email and decide whether you want to delete, tag, or move it without having to open it up. The Quick Delete function is very helpful and I like to schedule two or three specific times of day to go through and clean out my email this way. It helps avoid being distracted by incoming email throughout the day and I make sure I decide what to do with each message right then and there. Skip a Step, Reply Inline: Another welcome new feature is the Inline Reply function. Rather than hit reply, I can just start typing and Outlook automatically creates a new message. If I go do something else and then come back, Outlook saves the inline reply as it would any other draft. Use Copy2Contact to Capture Contacts: Just like the quick delete and inline reply functions that help you skip a step, Copy2Contact is a must-have for every Outlook user. It captures contact information right out of email signatures, and appointment dates/times from messages. One keypress and BOOM! They’re saved in Outlook. The more steps you skip, the more time you save. 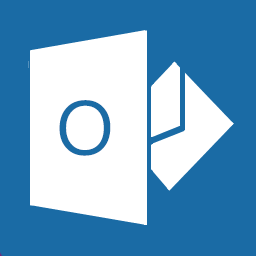 Copy2Contact for Outlook 2013 will be ready before the final release date in October. Use the Availability Function To Save Time: Email is great, but sometimes you need something as soon as humanly possible. The Outlook 2013 contacts view allows you to see who is available and who can’t respond to your email right now, similar to Gmail. If you need something done fast, Outlook will let you know that you’re better off getting in touch a different way. If you’ve checked out the new Outlook 2013 Preview and want to share some of your own productivity tips, we’d love to hear from you! We may even feature your tips for the entire Copy2Contact community to see. Please leave a comment. Posted on April 1, 2010 in Knowledgebase. 0 Comments Tags: BlackBerry, Outlook. If you frequently grab contact information from email signatures, you may have noticed that people often don’t include their email address since it’s already in the header of the message. However, when you grab the signature block, Copy2Contact can’t see the email address since it can’t be highlighted at the same time. For users of Microsoft Outlook and BlackBerry, however, Copy2Contact is smart… when it detects that no email address was found in the captured text, it guesses that the email address is the same as the sender of the message and alerts you! Posted on May 4, 2009 in Knowledgebase. 1 Comment Tags: Outlook, PC, Tips. If you use different Outlook folders to store information for different projects, you might want to configure Copy2Contact to use those folders instead of the defaults. This feature is available only in Copy2Contact PRO, but can be tried out during the 14-day trial period. Open Copy2Contact’s Target Apps settings by clicking the Copy2Contact icon in your system tray (next to your clock) and choosing Utils, then Target Apps. Then on the Outlook page of the dialog, press the Default Folders button. This is particularly useful with Business Contact Manager for Outlook, which stores contacts in its own folder. Click here to open Copy2Contact’s Outlook Target Apps settings now (Copy2Contact must be installed on your computer).